Below are some DMR (Digital Mobile Radio) links that might be useful to you. I'll be updating this page as I get more info. I use a lot of terms that I explain the first time I use it in a post but not in following posts. To help you figure out what the hell I’m talking about, I created this terms sheet. I hope it helps. 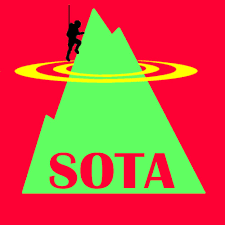 SOTA stands for “Summits On The Air”. The “activator” / hiker, goes to the top of a mountain, setes up a mobile ham radio (could be a hand-held radio, or a mobile ameture radio and makes a minimum of four contacts to get points for that mountain. 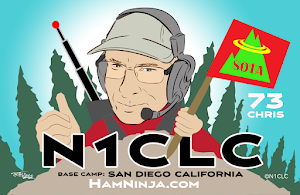 I think it was started in the UK and is an activity that ham radio operators do to get out of the house, do some hiking, and geek out. I enjoy it because I can actually get better performance out of my gear on a lonely mountaintop. There is no extraneous radio interference coming from all the stuff in the house and surrounding neighborhood. To my equipment, it looks like the antenna is thousands of feet in the air. I’ve been able to have a conversation with stations in Japan on only 5 watts and I’ve spoken to stations as far away as New Zealand. That’s pretty awesome!!! Below are some SOTA, Summit on the Air, related links for those that are interested. I'll update this as needed. Below are links to vendors, bloggers and other info that may come in handy if you are in the hobby or just want to geek out. I'll update this from time to time for people those people that I send here for more info. For my first post to this BLOG I’ll tell the story of how I got to ham. It’s a long road so you might want to grab a beer..
I’ve been interested in RF from a very young age. When I was less than 10 or so, I was infatuated with radios. I got my first walkie-talkie (a “handi-talkie” or “HT” in ham lingo) from Radio Shack with money I saved. I had a neighbor across the street that I use to talk to with our radios when we were supposed to be in bed. I strung a wire out my window, climbed up to the top of a tree just outside and attached it to a telescoping antenna and taped it to a branch. I had no idea what I was doing but it worked. We talked at night after school, and pretended to be pilots, another passion of mine. 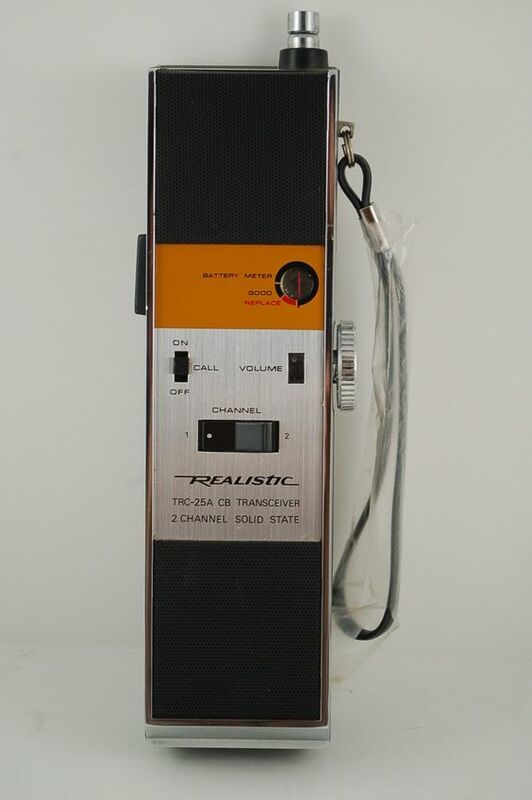 The radio was metal, and had two channels that used crystals that could be changed to use different frequencies.